Avocado might not tempt us to have it at its first look. But the intensive research on this green fruit has managed to convince many to fall in love with this miraculous gift of nature. Avocado has gained popularity among all other fruits in terms of its beneficial effects. This health fact has been supported by numerous studies and researches conducted globally. Avocado comprises of vital nutrients and essential phytochemicals. Most of the fruits are known for their high carbohydrate content. However, avocado is a fruit that is well known for healthy fats. The percentage of unsaturated fatty acids is more as compared to saturated fatty acids in avocado oil. Statistically, the monounsaturated fatty acids (MUFA) and polyunsaturated fatty acids (PUFA) are 71% and 13% respectively whereas the percentage of saturated fatty acids (SFA) is 16%. Therefore, avocado oil plays an indispensable role in promoting cardiovascular health. Healthy weight management and timely ageing are two other significant benefits offered by avocados. As discussed in the above point, avocado is rich in phytochemicals; these phytochemicals have incredible benefits on human health. 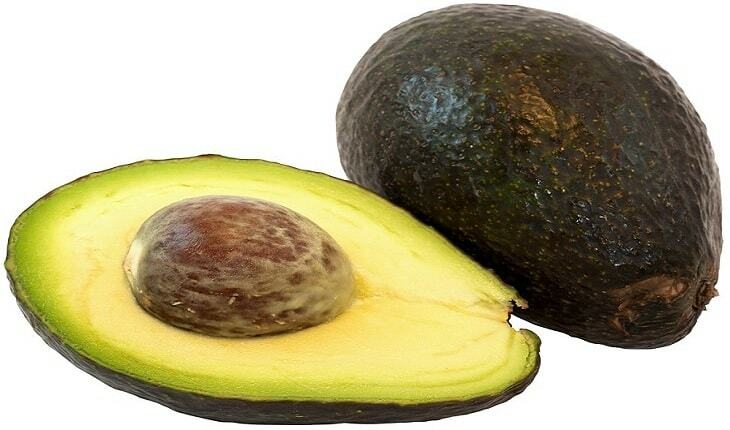 The oil extracted from avocado has several dermatology based applications. The unsaponifiable part helps fighting against osteoarthritis. Although the researches on avocado seeds are at their primitive stages, the findings so far have directed towards the brighter side. The bioactive phytochemicals present in avocado seeds can combat hypercholesterolemia and can help in treating hypertension, diabetes and any sort of persisting inflammation in the body. The seed extracts were examined and they were found to be containing insecticidal, fungicidal and several other anti-microbial properties. It would be hasty enough to comment further on the characteristic phytochemicals that are responsible for these properties because the study is in process. Did you know that potassium intake is more favorable than sodium intake? How much potassium essentially needs to be present in your regular diet. Recent studies have proved that having a high intake of sodium as compared to the potassium intake amount leads to high blood pressure. To optimize the electrolytic gradient, it is necessary to consume adequate amount of potassium on a daily basis. People suffering from high blood pressure and hypertension can be benefitted from the high potassium intake. Current evidences also suggest that potassium intake might reduce the chances of developing kidney stones and decrease bone loss. According to the recommendation of the Institute of Medicine, 4700 mg of potassium should be consumed per day. Avocado contains essential vitamins such as folic acid and vitamin B6 that help in the regulation of homocysteine levels. Homocysteine is an element that needs to be maintained at a proper level in the blood else, it might trigger the risk of heart diseases. Avocado also has vitamin E and glutathione that are responsible for a healthy heart. Avocado is a rich source of phytonutrients such as flavonoids and polyphenols. Both the chemicals have inherent anti-inflammatory properties that help in reducing the risk of inflammatory disorders. Since inflammation has a pivotal role in atherosclerosis, avocado has a potential effect on decreasing the adversities brought by inflammation. Fibers constitute the majority part of avocados. Dietary fibers are extremely essential for the smooth functioning of our body. Their functions are enormous. They regulate the intake of energy, reduce the risk of obesity and modify gastrointestinal functionality. People suffering from chronic constipation can get rid of their problem by including avocado in their diet. Who does not wish to have healthy eyes? In today’s technology-centered lifestyle, having eyes free from problems have become a rare occasion. Avocados consist of a crucial element known as carotenoid lutein that acts as wonders for the health of our eyes. As you cannot hold back your age, you can definitely help protect your eyes against eye problems associated with age, such as cataracts, which are pretty common and macular degeneration. Avocado is an excellent source of folate. Studies suggest that a diet loaded with folate can reduce the risk of strokes. So, avocados can be powerful enough in lowering stroke related cases. It is highly recommended to include avocados in your diet so that you can avoid the disastrous consequences of strokes. When diabetes has become almost an epidemic across the globe, it is certainly a secret desire of every individual to not get victimized by diabetes. This requires continuous monitoring of our blood sugar level. Research has proven that the monounsaturated fatty acids present in avocados reverse the resistance mechanism to insulin thereby regulating the blood sugar level. As mentioned earlier, avocados are loaded with dietary fibers; the soluble ones significantly contribute in maintaining a steady blood sugar level. Avocado oil is a rich dietary source of oleic acid, the primary monounsaturated fatty acid. Extensive studies have suggested that there is a direct relationship between oleic acid and decreasing cancer progression. There is an integral molecular mechanism involved in reducing the risks of breast and prostate cancer. Individual fatty acids of oleic acid regulate the malignant behavior of cancer cells and discretely reduce the harmful impact of cancer. It is advisable to give avocado oil a fair chance to fight against cancer; chemotherapy is not devoid of side effects anyway! One of the very tragic occurrences is to see a baby born with some defects. This can be avoided up to a considerable extent by including avocados in an expected mother’s diet. Avocado is an excellent source of folate or folic acid, a type of vitamin B. In fact, one cup of avocado contributes to about 23% of recommended daily intake amount of folate. Therefore, a higher intake of folate plays a pivotal role in preventing birth defects such as spina bifida and neural tube defect. Are you tired of trying various methods to cut down on your extra pounds and still look the same? It is high time that you rely on a natural and a side-effect free option. Nothing can be better than avocados in this aspect. According to an interesting field test, people having avocados in their diet felt fuller than the people who did not have avocados. The frequency of hunger also reduced among the first group of people. This is a distinctive indication that depending on a diet that has avocado as an integral element will ensure reduction of weight because avocados are low in carbohydrates and rich in fibers. Many of you must be aware of the presence of avocado oil in cosmetic products. But what is the utility of avocado oil? It has an amazing potential to nourish and replenish the skin and provide a healthy glowing skin. It also has the ability to treat psoriasis, an awful skin disease that causes irritation and redness. Avocado is full of antioxidants and it is known to almost everyone that antioxidants play a significant role in preventing symptoms that are related to ageing. Glutathione works primarily on slowing down the ageing process. Avocados have been stated as one of the healthiest foods because of its 25 essential nutrients. People having avocados as an essential part of the diet have been found to have a better nutrient intake and lower metabolic syndrome risk as compared to those who didn’t have avocados in their diet according to the reports published by NHANES. Being healthy does not necessarily mean weight gain. As per other researches, avocados help in weight reduction. The good cholesterols, dietary fibers, vitamins and phytochemicals cumulatively work in offering a healthy, disease-free body and at the same time keep the body weight optimal. Do you want your hair to remain hydrated and soft? Does your hair lack shine? Are you the victim of retarded hair growth and drastic hair loss? Leave your worries behind because avocado is a solution for all the problems related to your hair. You may use avocado in several ways to treat your hair problems. Depending on the hair conditions and problems, the usage also varies. Bad breath is a problem that needs to be treated from its roots. There are various mouthwash brands available in the market but they do not help much in sustaining fresh breath for a long time. Avocado acts as a great remedy to cure bad breath. It is a natural mouthwash. Besides using it as a mouth wash, it can also be included in your diet for a thorough cleansing of intestine. This helps in treating the problem of bad breath on a permanent basis. According to a field study, it has been found that avocado intake is directly proportional to increased nutrient absorption. The participants who had avocados in their diet could absorb carotenoids five times better than those who did not have avocados. The benefits explained above are proven facts collected from various researches and journals. The status of some of the studies is ongoing. Few years down the line, we would probably hit upon various other benefits of this wondrous fruit. Some people may suffer from avocado allergy, so they should avoid this fruit and other foodstuff containing or prepared with avocados.